The maintenance project, which will begin in December, involves the installation of a bespoke access platform to allow engineers to inspect the bridge hangers. 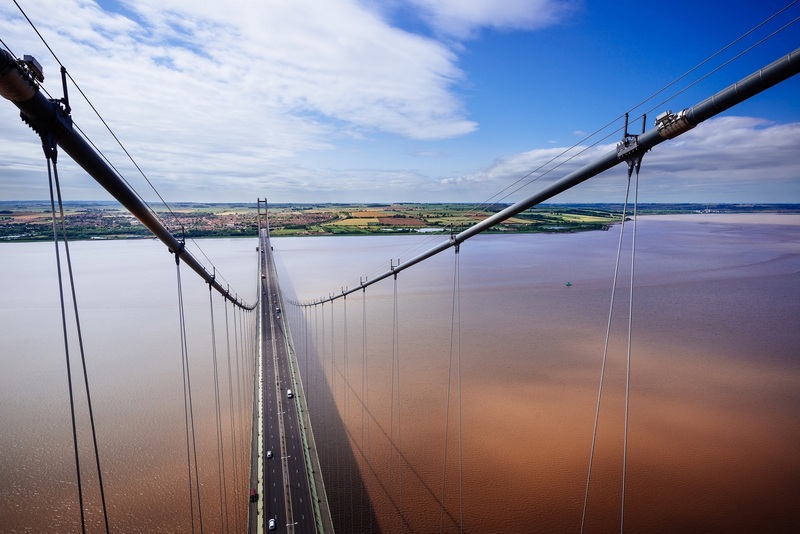 Work on the 2.2km-long bridge in the northeast of England will be carried out by contractor Spencer Group for the Humber Bridge Board. The 4.5m x 3.1m x 4.3m static-frame access structure has been designed by Spencer Group’s in-house design team and will be attached to the main cable of the bridge using a saddle arrangement. Three hangers will be removed one at a time, using the custom-built platform at heights of up to 65m above the estuary and 15m above the Humber Bridge road surface. These hangers will be tested, to enable engineers to assess their condition and predict when intervention will be required on the remaining hanger cables. Spencer Group managing director Gary Thornton said: “As main contractor on this project, we are collaborating with Atkins, who are providing technical advice to the client, the Humber Bridge Board.” The three hangers that will be removed for inspection will be replaced by three replacements, supplied, tested and installed by Spencer Group. The project has been planned to keep disruption to a minimum, with much of the work expected to take place at night with some lane closures during the off-peak daytime period as well. The site work is expected to be completed in 15-20 weeks, with a further eight months of off-site planning and testing.